Me and Niyati were heading back home, after a long and tiring day at the work. I was in no mood of talking, but you know them (women), they somehow save some energy to talk. Moolchand metro station, just passed away, and I was just waiting for her station to come, so I can take a quick nap. Out of sudden, she pinched me, and said, “Why are you not talking? And Why are you looking up all that time? Do you want to break the ceiling and escape away like superman? Niyati, “There is nothing going to happen if you think this way, I mean, if you look up, you think God live there and there is a heaven, but in reality, God lives inside you and me, and if you believe that you can do this, just TAKE A CHANCE. All you need to a take a chance, and chase your dream. 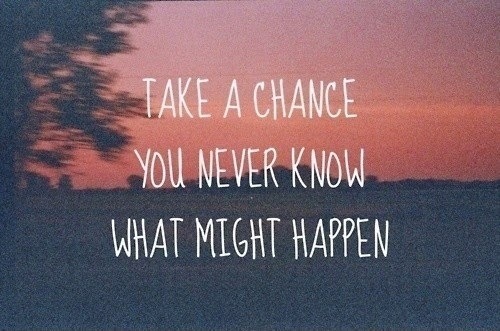 Take a chance, you never know what might happen. And I was, She is right. All you need to TAKE A CHANCE. Perfect words from Niyati! Take a chance, it is going to be different, it is going to be unknown but it is going to be all worth it when you look back :).. Things have a strange way of working out, we just have to find a way to be in the groove and stay alive.. Thank you Vinay, for such encouraging words. And I surely ask for help if situation demanded. Thank You, Anita. You are welcome. I took the plunge seven years ago. Seven happiest years of my life since then. I like this story. Also, I want to invite you to write a story for our book "Blank Space" - Filled with Inspiration - which will feature 100 Authors and 100 stories. You could join writing along with people like Major. Surendra Poonia, Dr. Vikas Amte and many others. If interested please drop a mail to publish@propelsteps.com , we shall discuss. 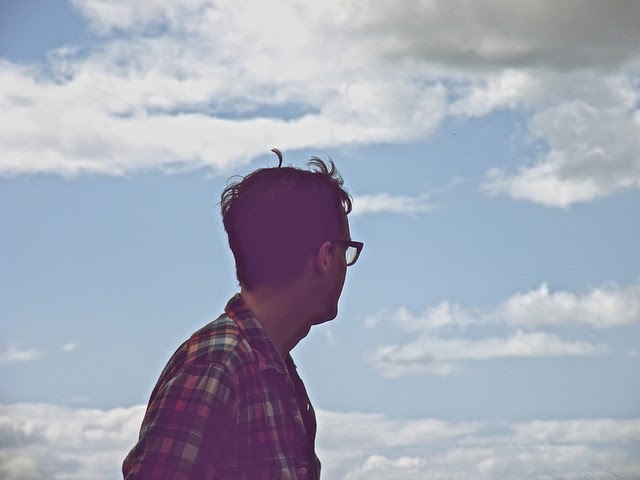 Note: You can submit your previously published stories on your blog as well.